Multan, although a large city and railway junction in southern Punjab, does not appear frequently on postcards. Inside the Fort on the top left is the city's most famous monument, the mausoleum of the great Sufi saint Shah Rukne Alam who died in 1335. Note the telephone lines, and wooden beams in the foreground. 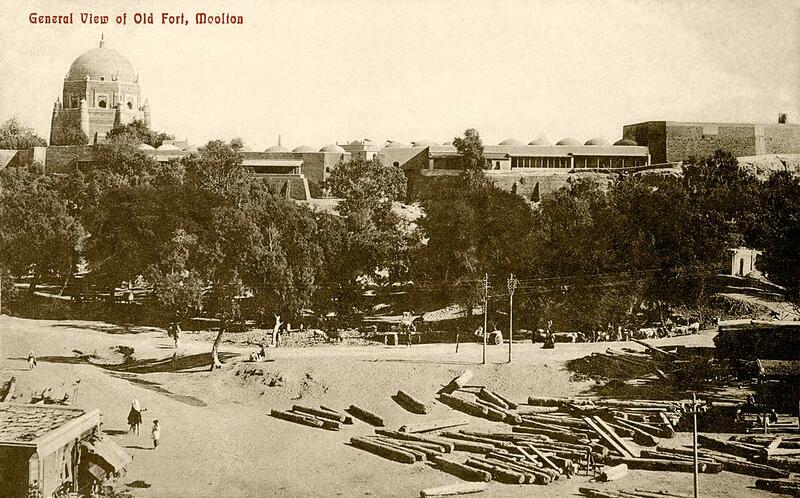 The same view was published as a color postcard by Moorli Dhur & Sons, the Ambala-based firm that dominated Punjabi postcard publishing for much of the early 20th century. The color postcard has lost some of the detail of this version.